After leaking out last month, the Coolpad Catalyst has been made officially official. The Catalyst will be available in T-Mobile stores on June 7, followed by a launch on MetroPCS on July 11. T-Mobile’s pricing will be set at $99.99. As you might expect with such a low price, the Coolpad Catalyst’s spec list is fairly entry-level. Included is a 5-inch 854×480 display, 5-megapixel rear and 2-megapixel front cameras, a quad-core Snapdragon 210 processor, 1GB of RAM, 8GB of storage, and a microSD slot. The Catalyst runs Android 5.1.1 out of the box. While its spec list may not melt your face off, the design of the Catalyst is clean and simple, and it does include band 12 LTE support so that owners will have access to T-Mobile’s growing Extended Range LTE coverage. If you’re in the market for an ultra-affordable smartphone, keep an eye out for the Catalyst next month. I’d pick the Fierce XL over this. Well the Fierce XL phone has not video calling, advanced messaging or enhanced voice service features. I would much rather the latest phones with advanced featuring verses phones like: LG Stylo, Alcatel One Touch Fierce XL or the ZTE Avid Plus phone there Brother. This phone coolpad catalyst will at least be a thousand times way better than the Fierce XL/or ZTE Avid PLUS phone theres Brother. “This phone coolpad catalyst will at least be a thousand times way better.” Everything makes sense now. It does have video calling. It’s called Skype. Used by most of the population. Not that this crappy phone with a crappier name could keep Skype open in the background for more than 5 seconds. Wow that’s the most idiot statement ever. It’s also cool to stop being a pest. Stop harassing me and my life you stalker. You are like one of those kids that likes to fit in, by trying to hang out with cool people and make fun of other nerds that are just like you that get made fun of just like you do. Now please for the sake of god, Just leave me alone already. Re-read my paragraph carefully you idiot. Now stop your trolling ways. Re-read my paragraph more carefully you idiot. Now stop trolling me with your pesting ways. And why do you say that this phone is crappy? Why are you so worried for?? What about others like myself that’s so not worried about not having to pay over 100 something dollars just for one phone, that could do just as good of a job like all other phones that cost a little bit more than 60 or 49 something dollars, than the same phone like this one that will cost at least 100 dollars with T-Mobile and 49 or 69 dollars with metroPCS?? I put the screen capture in reddit. Thanks for making us all laugh at your expense. Goodbye. Thank you. Now stop trolling. No wait . This one is the most stupid comment ever. I will take a screen capture. So I can’t show it to everyone. Stupid? Lol thanks, but you are hideous Bro. Yawns at you with your lazy self. Goodbye now. I meant: has no video calling* whoops mistypo there buds. Stop trolling? Of course I can spell. How about you quit stalking me. Jealous?? I just had a mistyped error and was so quick to correct myself. Give me a break already, and stop acting like you are Jesus. Thank you. Mistypo is such a word used within the english language. You are still harassing me, because??? Why are you even worried about me for?? Don’t you have a hot date with a girl to attend to?? Is this a bad dream or did I slip and fall in a time warp… waking up in 2014? In other news, I was reading that T-Mobile maps no longer differentiate roaming coverage from 3G and 2G. What is up with that, Un-un-carrier 1.0? You’re right. 4G/3G/2G/roaming now all looks the same. There’s a lot less roaming now…I’m sure that’s part of it. 1GB of RAM and Android 5.1. Nope. Not sure why T-Mobile is bothering to stock this junk. Bring the Samsung J7 over. They think $100 is the sweet spot for value customers. I think it should be closer to $50. This device costs too much for too little. I’m waiting for the ZMAX Pro on Metro. Me too. Its shaping up to be pretty awesome! I heard ZMAX already have quality issue that’s showing up. People complains and return it. 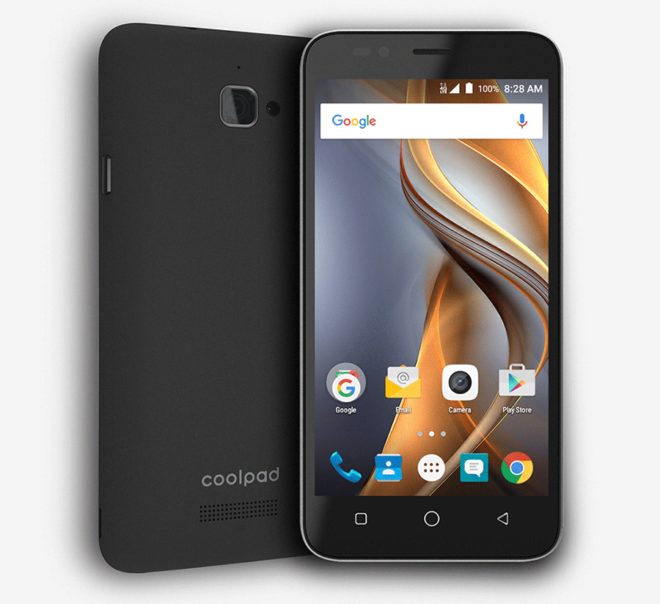 And who the hell is Coolpad? This is a site about T-Mobile where things like phones they’re introducing are of interest to readers. Coolpad have been around for a while. They make Android devices. Their products tend to be inexpensive but relatively high quality (for the price); but they’re Chinese and there have been reports of spyware pre-installed on Coolpad devices. Good phone to have as a spare media player or emergency device. Definitely not a phone people will want to be seen with lol. I’ll still buy it. You can’t say that one about everyone not wanting to buy such phon there Brother. Your statement could have been: A phone that most people won’t go for. Sounds better there brother?